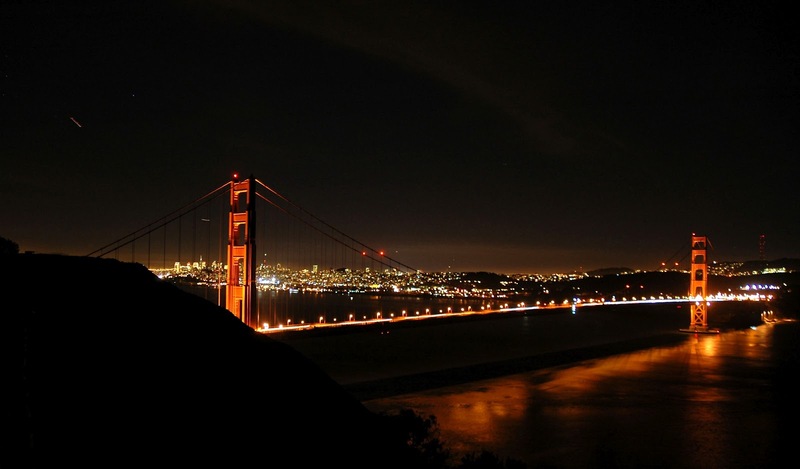 This weekend San Francisco will celebrate the 75th anniversary of the completion of the Golden Gate Bridge. An engineering marvel when it was built across the treacherous "Golden Gate" strait in 1937, the bridge is still one of the most admired landmarks in the world. I cannot imagine my city without it. Engineers work constantly to maintain the bridge which must withstand relentless wind, fog, traffic, and occasional earthquakes. 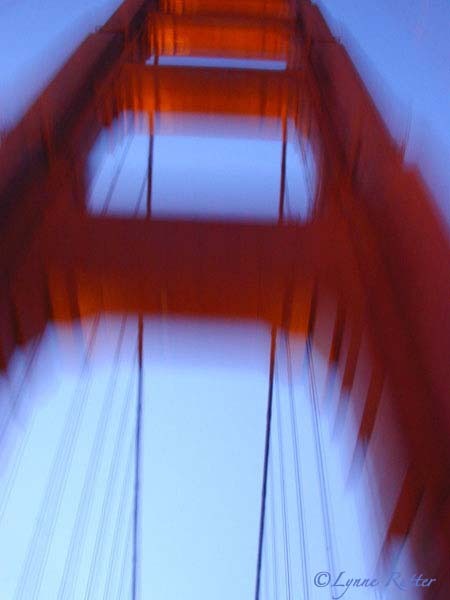 The iconic vermilion color of the Golden Gate Bridge is called International Orange, something akin to a "safety orange" but which is actually quite a nice red, especially when seen against a clear blue sky. 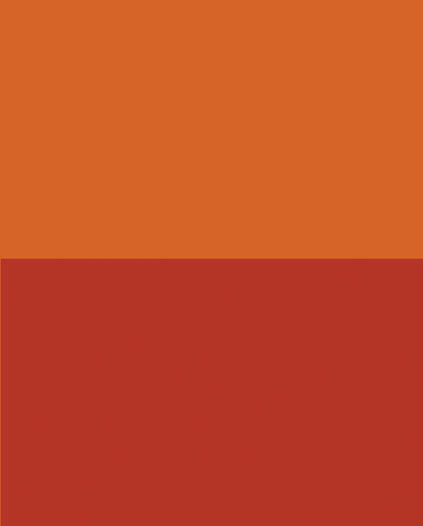 International Orange (Engineering) below, which is the color used on the Golden Gate Bridge. Some colors I have matched to this - and by that I mean walking onto the bridge, fan decks in hand - include Benjamin Moore 1307 "Geranium" and C2 Color C2-067 "Firefly." This can change depending on the age and exposure of the paint. Sadly this beloved landmark is also the site of dozens of suicides each year, more than any other structure in the entire world. I think about this every time I walk or drive over this bridge. What is it about beauty that can also inspire tragedy? Once I saw a man wrapped in a blanket, being led off the bridge by police. Someone had noticed his desperate state and interceded. After too many years of debate, measures have finally been taken to install a safety net and in early 2013 this barrier will be in place. 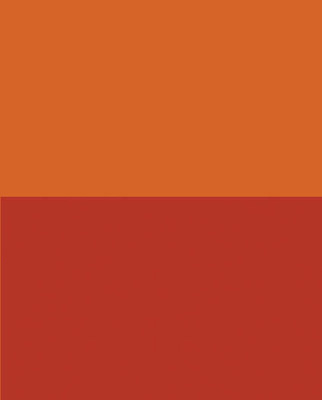 Life in Color more about International Orange by Emily Eifler for Colour Studio, Inc.
Hi, Lynne - It's so interesting that the Golden Gate's red is always perceived as orange; I think we should get a grant and study that one! Incidentally, I really like your crisp new header design. In my experience colors look the way they do because of what they are paired with, or seen in relation to. Bathed in yellow floodlights at night, the bridge of course looks warmer and more orange. Against a clear blue sky, its primary red-ness asserts itself. Next to the green trees growing behind Ft Point, it looks the same red as the bricks of the fort. In the violet blue-grey of a thick fog, it looks more yellow orange, the compliment of the color of the fog. Now that you mention it, I can certainly see that the orange bridge in that night photo is in fact ... red. It looks as though the floodlights create strong yellow highlights, which would heighten that illusion. Yup, there's nothing like the grand old Golden Gate Bridge. It's got character.